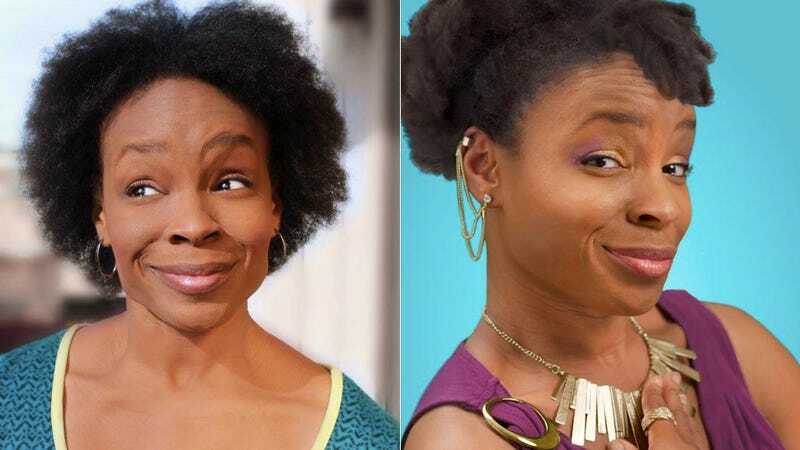 This week, news broke that Amber Ruffin would be joining Seth Meyers' writing team for his new edition of Late Night, premiering at the end of February. One noteworthy detail that didn't get noticed: Ruffin is the first black woman to write for a network late night talk show. In fact – though it's hard to write all this in a headline without making it endlessly long – as far as we can glean, Ruffin is the first woman of color to be on the writing staff of a nightly late night talk show ever. After analyzing the writers' rooms of nightly network talk shows like The Late Late Show with Craig Ferguson, David Letterman's two shows, Jimmy Kimmel Live!, Jay Leno's two shows, Jimmy Fallon's two shows, Conan O'Brien's two shows before he was on TBS, Last Call with Carson Daly and even older shows like The Tonight Show Starring Johnny Carson, it's clear that Ruffin is an outlier in the world of traditional late night comedy writing. Expanding that list to look at non-network shows brings in programs like Conan on TBS, The Daily Show, The Colbert Report, Chelsea Lately, the cancelled Lopez Tonight and Arsenio Hall, but still, no one comes up. Shows that did have women of color on their writing staffs: Totally Biased and The Chris Rock Show, plus Real Time with Bill Maher at one point. Ruffin's had a good few months. She recently auditioned as part of one of SNL's "secret" black women-only auditions set up in an attempt try and diversify their cast. Those auditions lead to SNL hiring Sasheer Zamata as a member of the cast, plus LaKendra Tookes and Leslie Jones as staff writers. Ruffin joins a writing staff that was largely settled in early December as one of three women; Ruffin, Alison Agosti and another who hasn't been identified. Like host Seth Meyers, as well as several other notable members of his writing staff, Ruffin trained at Chicago's iO and Second City. She also spent time at Amsterdam's Boom Chicago, is part of the video sketch comedy troupe RobotDown, and will hopefully one day be positively surrounded by people in writers' rooms that actually look like America.